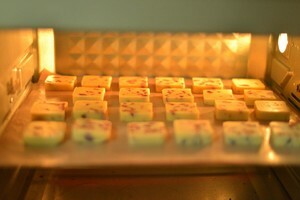 Cookies may not be a healthy snack choice for most of the people because of the overindulge “butter”. 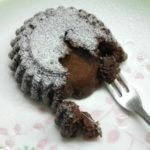 However, it is really yummy and hard to get rid of it. I like to have few pieces of cookies for my afternoon tea during. In order to make my snack healthier, I decided to make my own version of cookies, using less butter and put some fruits in it. 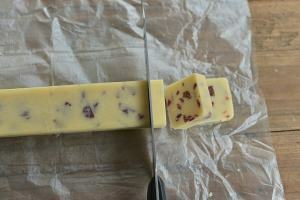 By putting my favourite two ingredients (cranberry and cookies). 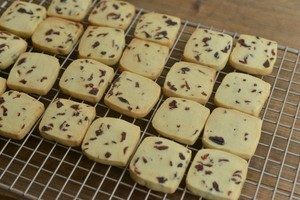 Here I come with my very easy recipe of cranberry cookies. 1. 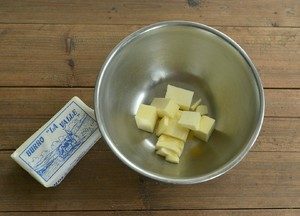 Cut the butter into small pieces, store them in room temperature until the butter soften. 2. 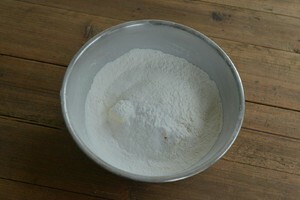 Mix low gluten flour, icing sugar and soften butter together. 3. Put egg wash into it. 4. 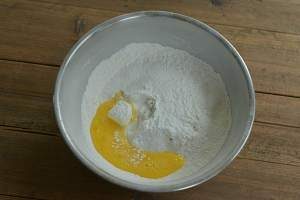 Mix everything together evenly. 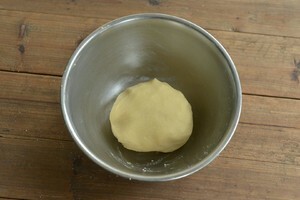 The fastest and easiest way is to mix them with your hands. 5. 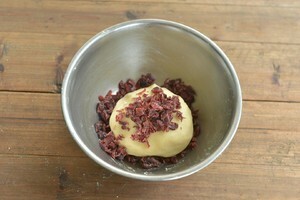 Put the dried cranberries with the mixture. 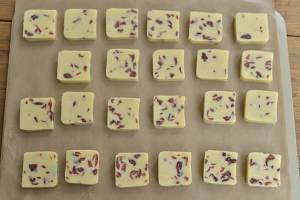 6.Mix everything together until the dried cranberries are evenly distributed. 7. 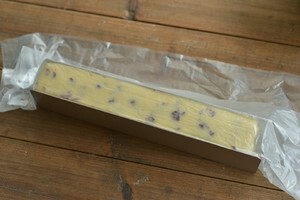 Wrap the mixture with plastic wraps and put it into the U shape mold. 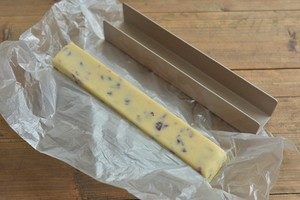 Then place it in the freezer for 45 minutes. 8. 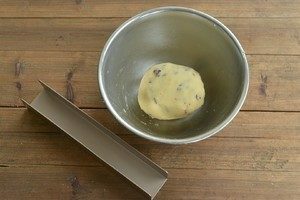 After 45 minutes, take it out from the freezer and cut it into cookies shapes. 10 Take them out from the oven, cool down. 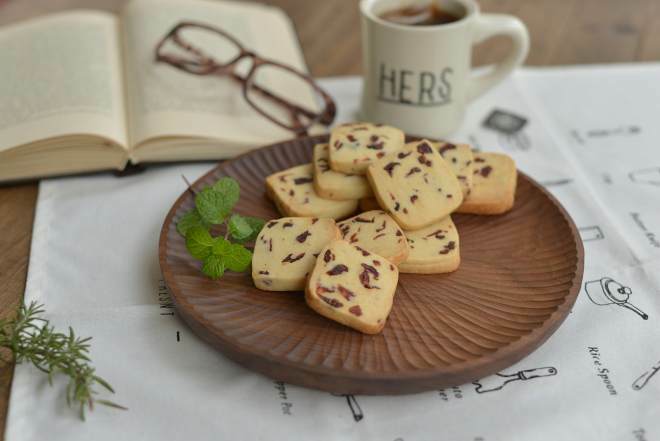 It is time to enjoy the healthy cranberry cookies.